Bing for business is a single place to search across work and web to help you find the info you need to get your work done. By integrating a company's Office 365 data with Bing, we provide a unified search experience that makes searching for company info — documents, people, bookmarks, etc. —be as easy as searching the web, right at your finger tips. Our challenge for Bing for business: transform enterprise search. How can we make searching for information at work be as easy as searching the web? Search in enterprise apps is painful when compared to a search engine like Bing. Office workers must juggle between Windows, work apps like Office suite, and internal work sites to find the right content. How can we help enterprise users — like a company's IT staff — make search at work be more accessible to their employees? Save their time and resources from having to answer repetitive support questions? With the CMS powering Bing for business, we can empower companies to surface results that help workers do more efficiently. Lead designer for the CMS behind Bing for business | Admin portal. Collaborated with design teammates so results seen on Bing were created by the CMS. Collaborated with PM and Dev stakeholders to create a coherent system experience. Re-hauled the UX experience end-to-end from wireframes to comps to ship for early preview at the Microsoft Ignite Conference. 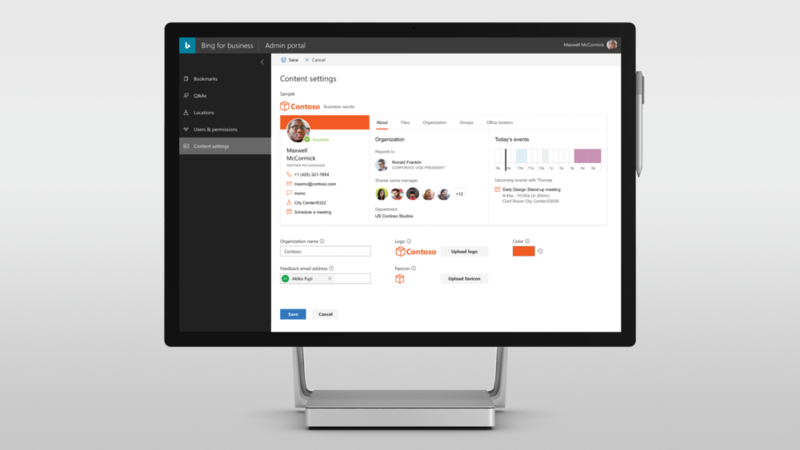 Re-design the entire Bing for business CMS from its internal V1. Build for existing and future use cases and workflows while also keeping clear design goals in mind. Unify the experience to be familiar to enterprise users working within Microsoft's Office products. Left: The CMS in its initial V1 that I inherited. Right: The one I re-designed and launched. Analyze prior site for site heuristics. Do competitive research on 3rd party CMS services. Consult with Office designers on design patterns. 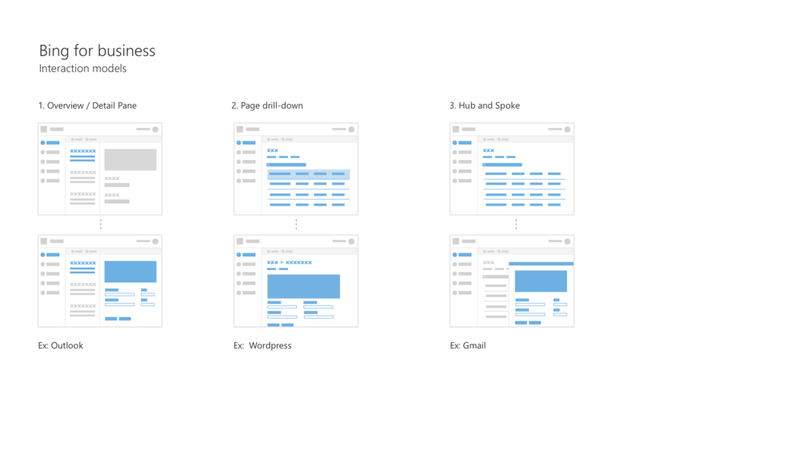 Do wireframe explorations around different CMS models and sitemap. Design comps. Get user research feedback. Iterate. Ship. What framework would work to familiarize users to content creation? How could users easily navigate across sections and tasks? How to make it feel familiar to Office users so they can be more productive? Bing for business debuted at Microsoft's Ignite Conference in Satya Nadella's keynote speech where it is in early preview. The team measured impact by how many companies we'd anticipate signing up for early preview. We exceeded our goal 15x over. Read press coverage from Tech Crunch to Forbes to ZDNet.